Most of the time in our lives, almost every individual has gone through this encompassing horror of a dead phone. Each one of us knows how it feels when you somehow forgot to put your phone on a charging plug last night. The time your phone become dead, you literally feel very restless and anxious. Well, no need to worry now as in this article we have covered almost every variety of smart chargers for phones. Have a look at some of these below-mentioned smart charging solutions that your money can buy. It is one of the smartest portable smart charging solutions for your phone. It is impressively compact and a lightweight charging device that can be carried almost everywhere be it on your trip or your office. This versatile charger consists of three output ports along with a supportable USB PD. Also, there is a USB-C port that can deliver up to 30 W to charge either your laptop, smart tablet or your smartphone at top speed. This is a perfect solution for those who travel frequently across the city. With this smart charger, you can expect at least five full charges for an iPhone XS, four full charges for a Samsung Galaxy S9 Plus, and it can even charge an iPad at the top of speed. It is a must-have fast charger for a phone if you want to charge a maximum number of devices at great speed in no time to save yourself from a deadly situation. This is a 2 in 1 charging dock and a smart wireless charging solution for your Apple or some other Android devices. This smart & fast charger for a phone is highly recommended for those who are running short of space. It offers more convenience to users while charging their smartphone by using a wireless charger and mouse pad separately as well as for those individuals who need a clean desk area for a more comfortable workplace. The device has a sleek and elegant design with smooth leather PU material. It also has a non-slip base that keeps mouse pad firmly in place. It is a must-have smart charging solution for your phone to charge your phone and other smart devices hassle-free without occupying much space on your office desk. This is a super small fast charger for android phone and I phone that deploys intelligent technology to keep you going and transform the way you charge your smart gadgets. This is a pocket-sized charger and is capable enough to recharge your smartphone to keep it going. 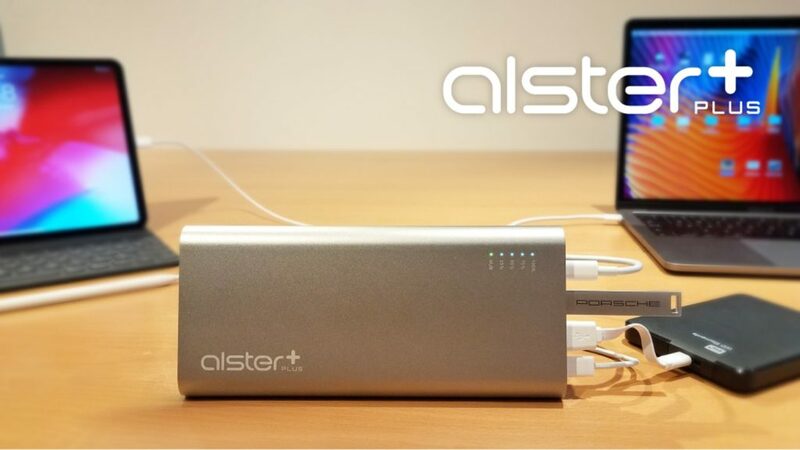 This one power bank work seamlessly with thousands of devices including Apple, Android, and even your laptop. In addition to this, you can also easily share this pocket-sized charger between friends or devices when they’re running out of battery. Lightr also uses Bluetooth to connect with your device. Upon connection, it also alerts you when it’s the time to recharge and not only this. Interestingly, this smart device also even let you know when the battery has been fully charged while connected to an app. Nothing to worry now as with this charger you may continue to use your smart device as long as you desire while keeping on the charge with this fast phone chargers. The device offers three different charging modes. It is so lightweight and minimal in size that it can easily fit in seamlessly with your lifestyle. It actually props up your device so you can continue to view the notifications you are receiving on your phone and even use your device while on a charge. It also offers the perfect 60-degree viewing angle for watching movies, whether you use it in a portrait or a landscape mode. Comes with a sleek, stylish and a compact design. It is quite compatible with Qi devices. Available in many colours like grey, dark grey, and red. This is the best option for those who want to experience seamless fun while keeping their phone on a charge both at the same time. It is pretty convenient and simple to use. With this fast charger, you may charge your phone virtually anywhere and anytime. The best part is that this smart charger has no attachments and hanging wires. It is Ideal for travelling, perfect for home or office. It is the first fully portable wireless charger. Crafted with highest quality materials including an anti‑scratch exterior for long durability. Using this device, you may take the experience of wireless charging power anywhere you go. With a number of options available in the market today, we can buy the best of fast chargers for your android phone and IOS to experience the power of portable and wireless charging anytime and anywhere you go. With these latest tech-enabled devices, it has become a lot easier to travel outstation or within the city without doing any efforts.